After enjoying a strong rookie season in the major leagues, Los Angeles Dodgers’ pitcher Ryu Hyun-jin was selected as the top Korean athlete of 2013, a national survey showed Monday. 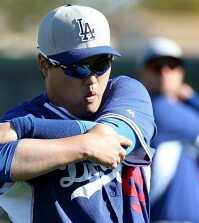 Ryu, the left-handed starting pitcher for the Dodgers, earned 51.4 percent of votes in a poll conducted by Gallup Korea. The pollster surveyed 1,702 South Koreans aged 13 or older from Nov. 1 to 18. The voters could select up to two athletes. Gallup Korea first carried out the athlete survey in 2005, and Ryu, ranked eighth last year, topped the list for the first time. 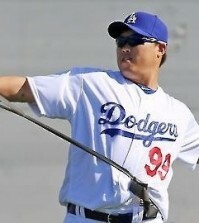 In his first Major League Baseball (MLB) season, Ryu went 14-8 with a 3.00 ERA. 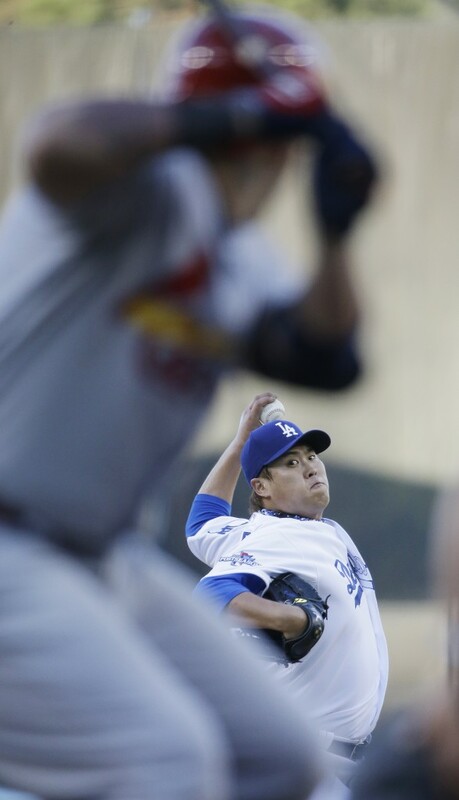 He also threw seven shutout innings against the St. Louis Cardinals in Game 3 of the National League Championship Series, becoming the first South Korean to earn a postseason victory in the big leagues. 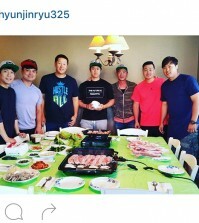 The 26-year-old joined the Dodgers last December after spending seven years with the Hanwha Eagles in the Korea Baseball Organization (KBO). He is the first South Korean to jump directly from the KBO to the majors. Figure skater Kim Yuna came in second place behind Ryu with 35.2 percent. She captured her second career world championship in March in Canada, coming on the heels of a long hiatus from competition. She also won a minor competition, the Golden Spin of Zagreb in Croatia, earlier in December and looks primed to defend her Olympic gold medal at the Sochi Winter Games next February. Kim topped the annual survey in 2007, 2008 and 2009, and has never finished outside the top five in the past six years. MLB outfielder Choo Shin-soo continues to be under appreciated by Koreans, as he came in fifth at 17 percent, behind rhythmic gymnast Son Yeon-jae (24.9%) and veteran soccer player Park Ji-sung (18.8%). Son’s popularity in Korea is something even Anna Kournikova would be envious of, as she was actually the top vote getter last year. Kournikova is one of the best known tennis stars worldwide, despite her never winning a WTA singles title. Rounding out the top 10 were: swimmer Park Tae-hwan, baseball slugger Lee Dae-ho of the Orix Buffaloes in Japan, footballers Son Heung-min of Bayer Leverkusen and Ki Sung-yueng of Sunderland, and baseball veteran Lee Seung-yeop of South Korea’s Samsung Lions.